I Reached The Final Level Of a Two Dots. Now What? Is anyone else out there addicted to the spotty little game called Two Dots? C’mon – fess up! Some of you know you are! 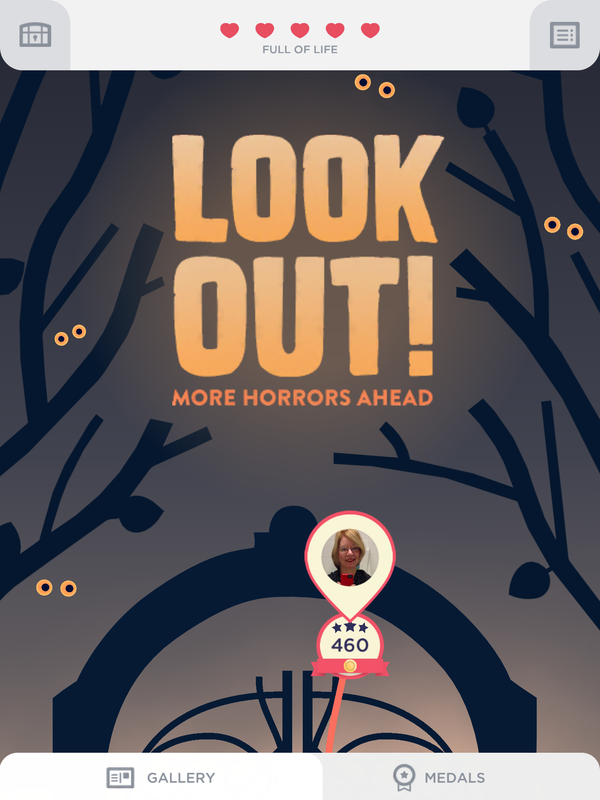 After 4 months or so, I just completed the final level – Level 460 – and sort of, kind of, freaked out. What? No more levels? Just an ominous message saying “More Horrors Ahead”? What’s a girl to do? Perhaps, get some sort of life and concentrate on this blog, making it an innovative and fun experience for readers of all ages. So, hence – this article. Are there any other senior citizens in the same boat as me? Or am I the only Golden Geek crazy enough to have seen this frustrating game through to the end? No doubt, the younger generation are blasting though this game at full throttle. Well, good for you. I was young once too, you know? Enjoy the ride! This game is, at the outset, kind of soothing and relaxing and, as a musician, I appreciated the sometimes jazzy, sometimes funky music that accompanied each level. At times, the nifty sound effects and musical composition rhythmically enhanced my movements while connecting the dots. Pretty neat, I must say. Good work, musical engineers. However, I will forever be traumatized by the site of “fire blocks” during this game. Every time I was confronted with this element , I wanted to scream. They tend to multiply if you don’t connect the dots in a strategic manner. You have to prioritize when you play this game and I always – ALWAYS – attempted to extinguish the fires before before they spread and wiped out my entire board. If you want to be challenged – and by challenged I mean periodically sticking with a level for 4 or 5 days before you crack it – , then you can download this crazy little app called Two Dots on the iOS App Store for iPad and iPhone. It is also available for Android. In the meantime, I will continue working on this blog until the developers to decide to update Two Dots with more levels. So, I hope you enjoy listening to me because I will be around indefinitely. And, if you need help for any of the levels, just hit the comments section and I will answer as best I can. Posted on October 13, 2015, in Apple, iOS, IPad Apps, IPhone Apps, Technology and tagged #twodots, Apple, Two Dots. Bookmark the permalink. 12 Comments. Did they ever make new levels? Just crossed 900. 100 more to go! Way to go. I’m rooting for you!! Just reached 1035 waiting for more levels. Thank so for telling me how many levels there are. I’m on 95. A ways to go I guess. Yesterday I completed the final level of the game which is level 1260. I am sad there are no more levels to do. It took me 4 months and one week to accomplish this. Playing the game 2 to 3 hours a day. Anyone knows when are more levels coming up ? It has over 1,435 levels now! Grannie here. Ha. I finished Level 1864 and now there’s none and no message saying more levels comong soon. Boo. Correction: finished off at 1885!